Free Shipping Included! 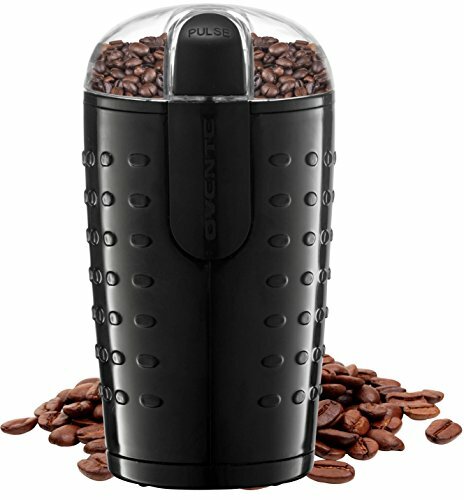 Ovente Electric Grinder for Coffee Beans and Most Spices, Seeds, Nuts, Grains – Stainless Steel Blades – CG225 Series – Black by Ovente at Jakis Cafe. MPN: CG225B. Hurry! Limited time offer. Offer valid only while supplies last. PRECISE - Its grinding bowl and sharp blades are both made of high-quality stainless steel. The blades pulverize with precision from whole to coarse or fine in seconds, depending on how long you press "pulse"
VERSATILE - With this handy tool, you're not limited to grinding just coffee beans. You can grind tea leaves, herbs, spices, nuts, grains, and much more with just one touch! SATISFACTION GUARANTEED - Comes with Ovente's 1-YEAR LIMITED WARRANTY, so snag your grinder today while supplies last, RISK-FREE!